The Thai government has ordered all relevant agencies to be cautious in managing the country’s water supplies and also urged people to use water wisely due to concern about drought in the near future. 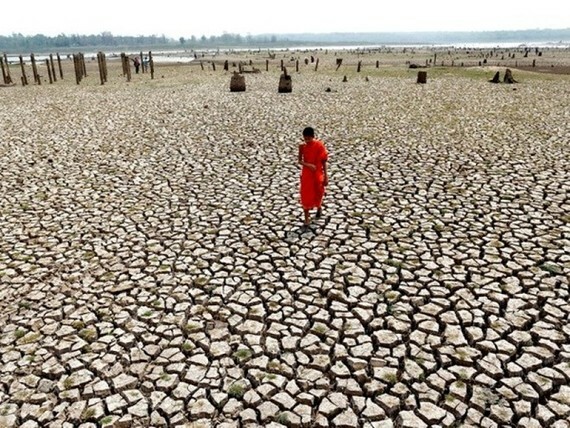 Thai Deputy Prime Minister Chatchai Sarikulya recently expressed worry about a severe drought next year, as the climate in Thailand is drier than usual this year, due to the impact of El Nino. He warned that the reservoirs could run low when the dry season returns in November, and stressed the need to reconsider water management strategy and revise priorities in water supply allocation for this year, citing low water deposits in irrigation system and greater water demand due to unplanned agricultural expansion. Sarikulya revealed that 23 large reservoirs are now below 50 percent of their total water capacity. The northeast is the hardest hit, as seven major dams in the region now have critically low water deposits. Economics professor Witsanu Attavanich from Kasetsart University cautioned that the dry season is expected to last longer than usual this year. He urged authorities to manage water carefully this year while farmers should be prudent in planning cultivation, and citizens must start conserving their water resources, adding there is still time to prepare and build up resilience for more unpredictable extreme weather in the future. The Thai Meteorological Department and the US National Oceanic and Atmospheric Administration (NOAA) forecast that the El Nino phenomenon in the Pacific Ocean will remain for the rest of this year. Hence, the Asia-Pacific region, including Thailand, will face a hotter climate and lesser rainfall.